Noodle soups are probably my favorite category of foods, and amongst them, Pho reigns supreme. There are so many reasons why I love it, but perhaps the most compelling reason is that it’s warm and comforting on a cold day and yet it’s light and refreshing enough to conjure up an appetite, even on a hot summer day. Still there are those sweltering tropical days, when even the invigorating herbs aren’t enough to resuscitate your will to eat something hot. That’s why I came up with this salad version of the famous Vietnamese noodle soup. I’ve always been a fan of noodle salads, and this Pho Salad incorporates all the textures and flavors of Pho in a satisfying salad that requires very little time around the stove. The noodles are soaked in water for an hour, which makes them cook in under 2 minutes. 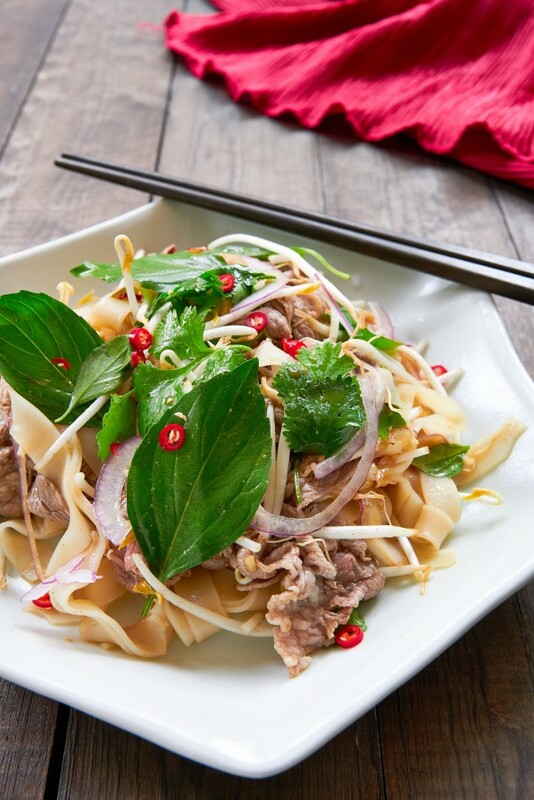 The thinly sliced beef is poached to a medium rare, ensuring it stays tender, while preserving its meaty flavor. 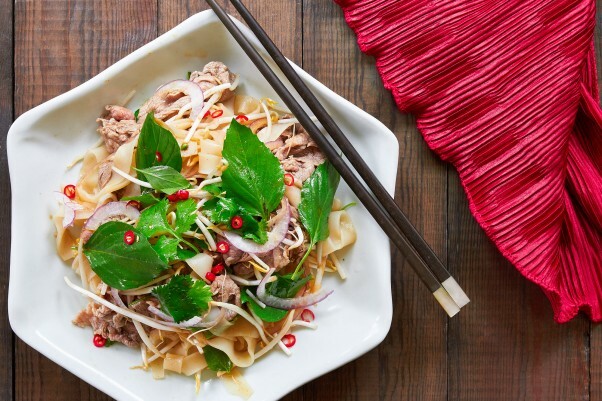 These are then tossed with crisp bean sprouts and onions, fragrant basil and cilantro, and a sweet and savory dressing made from hoisin sauce, fish sauce and lime juice. To give the dressing its trademark “pho” flavor, I like adding a bit of Chinese five spice powder. 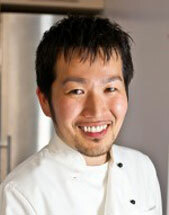 It’s made with similar spices to the ones that are added to Pho when cooking the broth, like star anise and cinnamon. If you can’t find it in a supermarket near you, you can make your own five spice powder. Soak the banh pho in water for 1 hour to rehydrate. Prepare the dressing by whisking together the vegetable oil, hoisin sauce, lime juice, fish sauce and five spice powder. Bring a large pot of water to boil. Drain the rehydrated noodles and add to the boiling water. Cook until (tender 1 1/2 to 2 minutes). Use tongs to transfer the noodles to a strainer and wash under cold water until chilled. 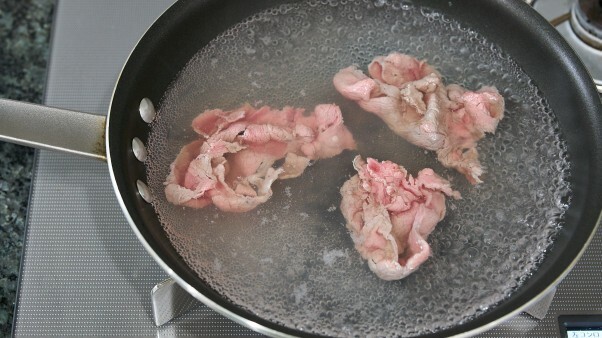 Prepare a bowl of ice water and then poach the thinly sliced beef in the boiling water until medium rare. Be careful not to overcook the beef or it will get tough. 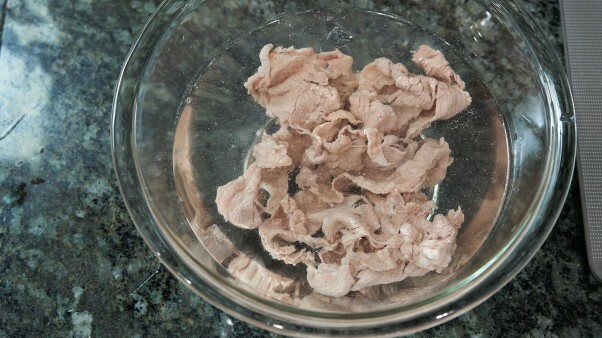 When the beef is done, transfer it to the bowl of ice water to stop the cooking immediately. 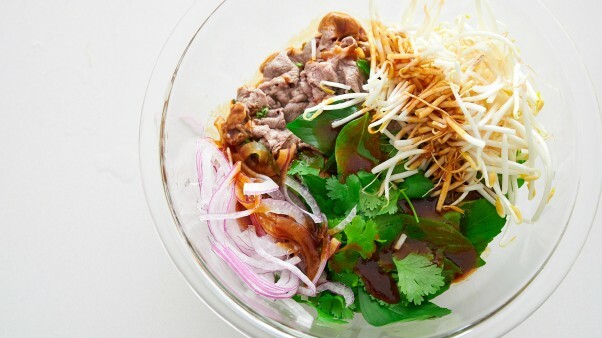 Drain the beef and then add it to a bowl along with the noodles, red onion, bean sprouts, cilantro and basil. Pour the dressing over and toss to coat evenly. Serve with pickled chili peppers or sriracha.